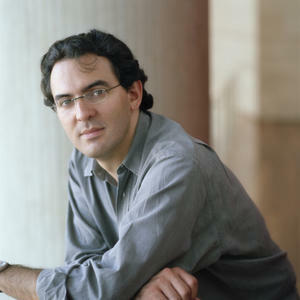 Juan Gabriel Vasquez is a Colombian novelist and translator. Born in Bogota in 1973, he studied Latin American literature at the Sorbonne between 1996 and 1998, and now lives in Barcelona. His stories have appeared in anthologies in Germany, France, Spain and Colombia, and he has translated works by E. M. Forster and Victor Hugo, amongst others, into Spanish. He was recently nominated as one of the Bogota 39, South America’s most promising writers of the new generation. His highly praised novel The Informers, the first of his books to be translated into English, has been published in eight languages worldwide. The Secret History of Costaguana is his latest work.